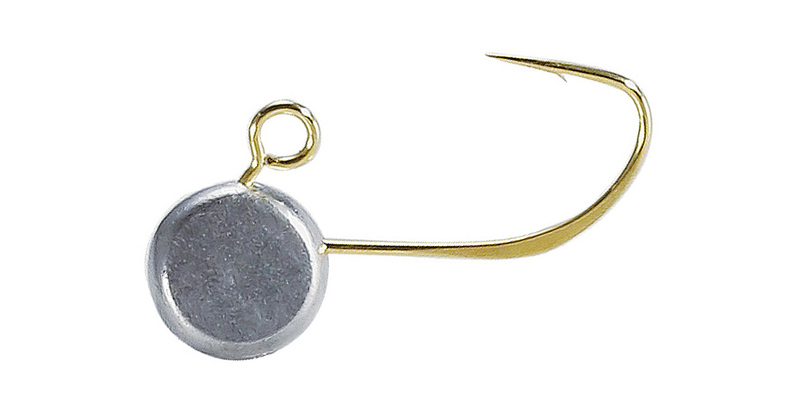 This is a one and only jig head calculated to precision. A completely original hook has been hammered down in the mid section for a flashing effect, ideal for use with clear type soft baits. 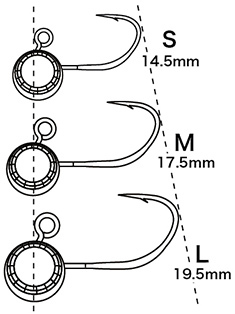 In addition, this flat/wider section helps the soft plastics to maintain its ideal set position. 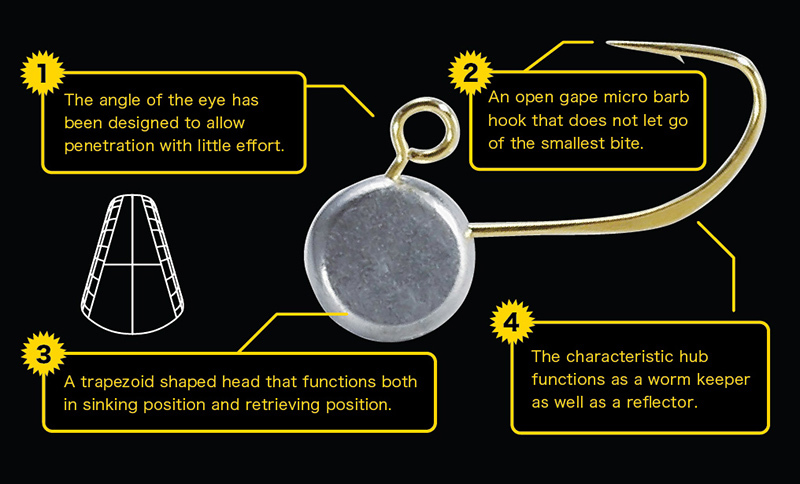 The specifically designed inward facing line-eye and the open gape helps anglers set hook with the least amount of effort.